There is literally no dearth for music player applications in Ubuntu. 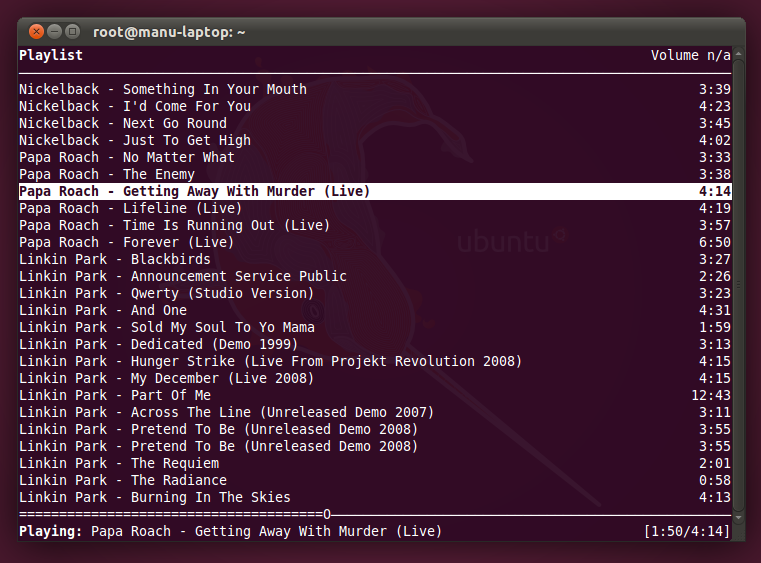 Banshee, which is the new default music player for Ubuntu 11.04, is among the best you can get. Alternatives include Clementine, Rhythmbox, Amarok, DeadBeef among others. 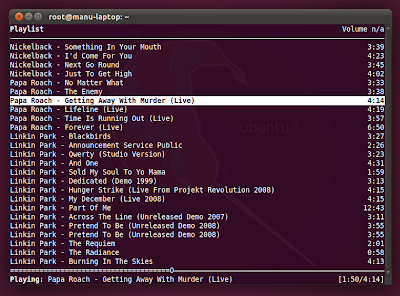 But MPD(Music Player Daemon) and NCMPC(an MPD client) combination opens up a whole new genre of music players for Ubuntu power users. Folks who like tools like Twidge Twitter Client are gonna adore this. 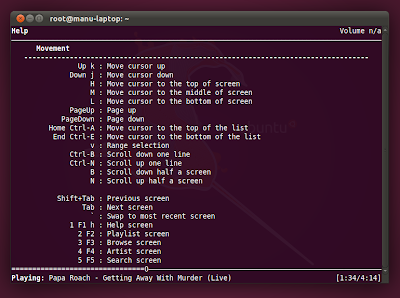 Simply put, Music Player Daemon(MPD) is a music player server. MPD simply runs in the background playing music from its playlist. Client programs like NCMPC communicate with MPD to manipulate playback, the playlist, and the database. MPD by itself is not a fully featured music player application like say Amarok or Banshee, but its clients serve a similar role. See Music Player Daemon(MPD) Wiki for more info. 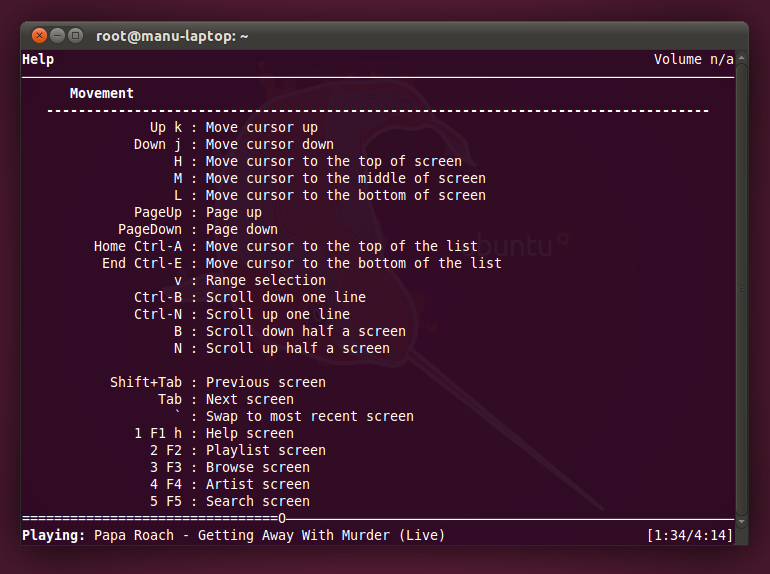 How to Install and Configure MPD + NCMPC in Ubuntu 11.04 Natty Narwhal? Lets see how you can install and run this thing in Ubuntu. You need to install the following packages first, open Terminal and copy paste the following command. Done. Now open MPD conf file as root in Gedit. Vim is my favorite editor, but for the sake of simplicity, I am using Gedit here. Do the following in Terminal. A text editor window will open up. Find the following text from it. And replace the ~/Music part with the directory that contains your Music content, which in my case was /home/manu/Music. Now, create database using the following command. Some tutorials recommend "mpd --create-db" command to create database for MPD, but it didn't worked for me. And according to Arch Wiki - "Creating the database is now accomplished via the update feature of the client, for example 'mpc update'. The previous method, creating the MPD database as root(mpd --create-db), is deprecated." Done. Now start MPD and NCMPC. Do the following in Terminal for that. Done. NCMPC will be up and running by now. Click "1"(without quotes) in your keyboard to open up NCMPC help menu. Everything you need to know about NCMPC in terms of essential keyboard shortcuts is right there in the help menu. I am in love with this MPD + NCMPC experience and I hope you guys are loving it too. There are other GUI clients also available for MPD like GMPC and Glurp. Meanwhile, if you are more into GUI applications, here are some of my favorite applications to use in Ubuntu.